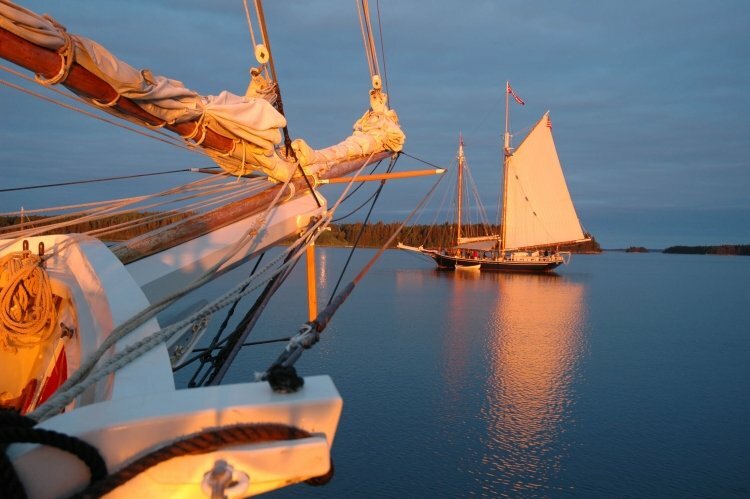 It was his notion back in the 1930s to turn the classic ships now known as windjammers into places where people can relax, cruise and have the seafaring experience of a lifetime. 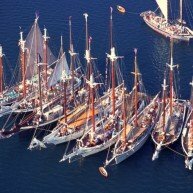 Those old ships, which were used for shipping cargo, were becoming obsolete with the birth of the steam engine and the emergence of railroads. 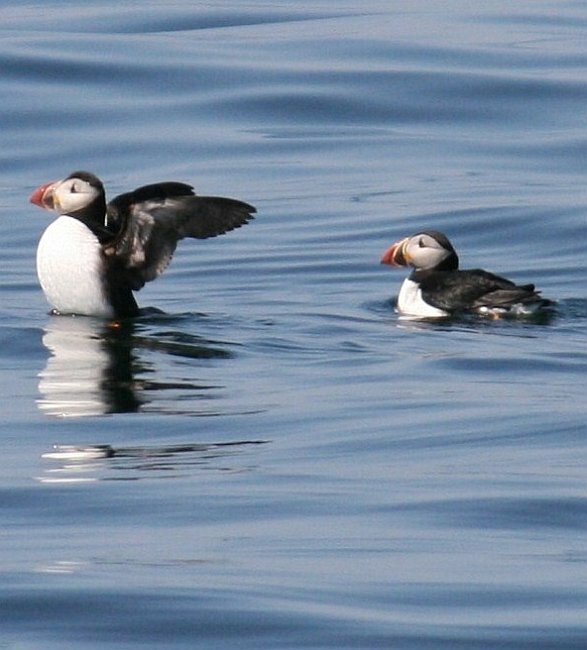 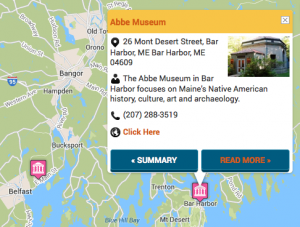 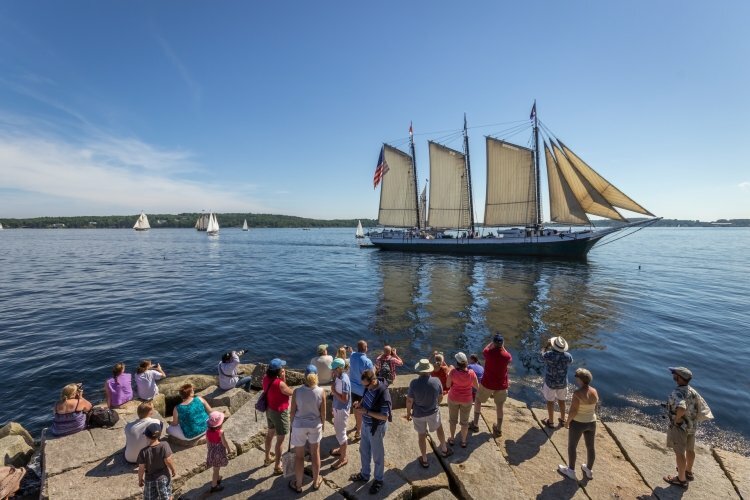 But Captain Swift had other ideas—and the ships were saved, giving birth to an experience that is quintessentially Maine. 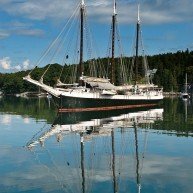 Today, windjammer cruises are incredibly popular, appealing to couples, families and groups of people just looking for a little fun and adventure on the Atlantic. 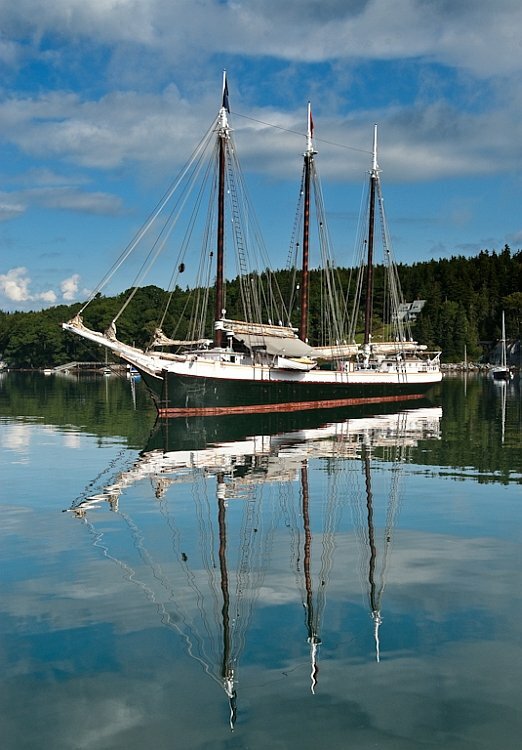 Yeah, you read that right—windjammer cruises don’t follow a set course or itinerary. 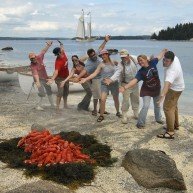 “If you’re the kind of person who is wound up and needs a schedule and an itinerary, this isn’t the type of vacation for you,” Barry says, with his trademark honesty. 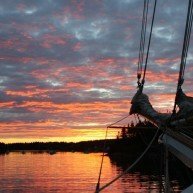 “For me, it’s relaxing.” With the lack of an itinerary, you get to leave the stress of life behind. 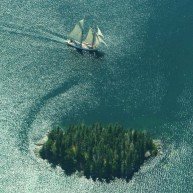 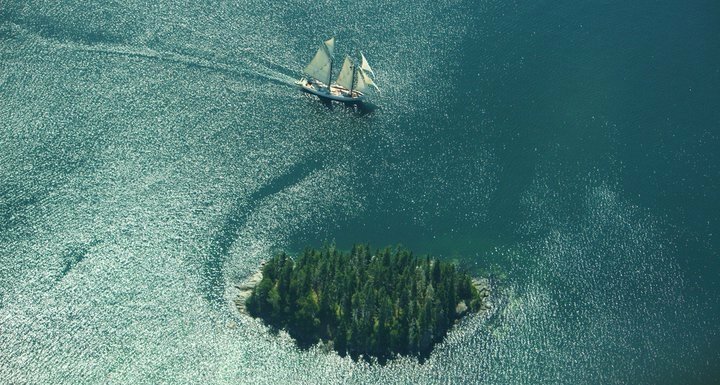 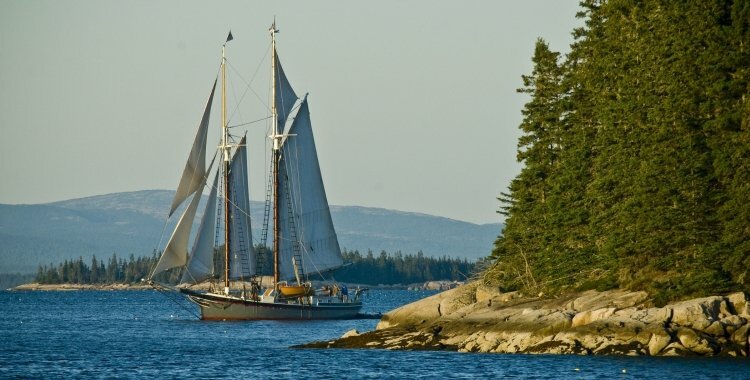 In a way, Maine’s true nature is personified in a windjammer: Just follow your own inner compass and let the wind be your guide. 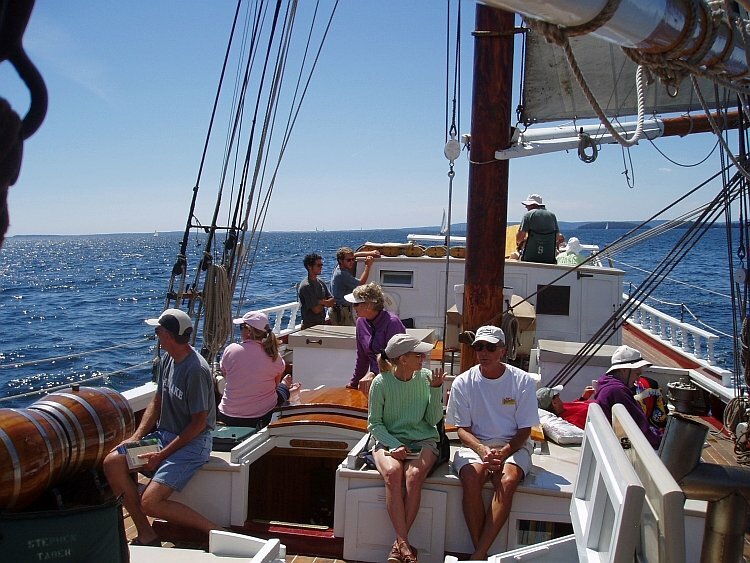 So what does the typical (if there is such a thing) windjammer cruise look like? 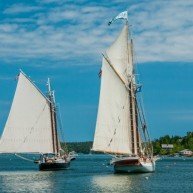 “Windjammers can hold 21 to 40 people, depending on the size of the boat, and go on three-, four-, five- and six-day cruises,” says Meg. 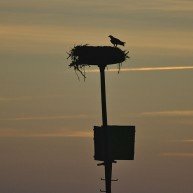 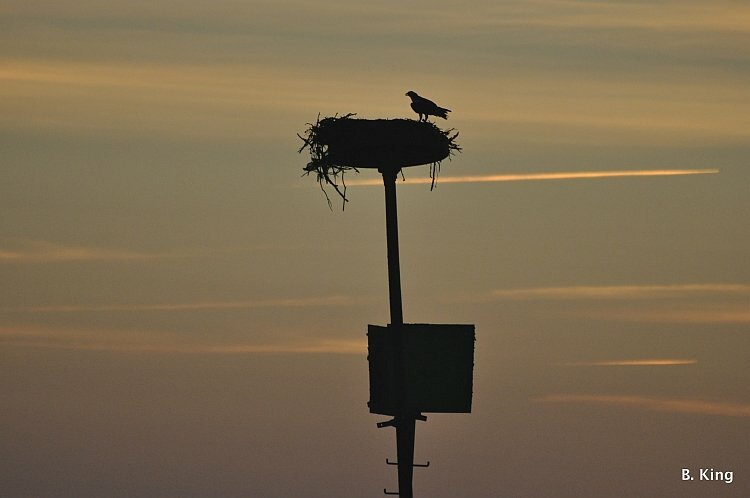 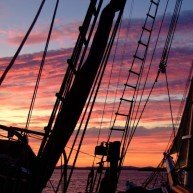 The first night, you sleep at the dock, and when you wake up the next morning, you get a chance to run into town and pick up things you may have forgotten or need for the trip. 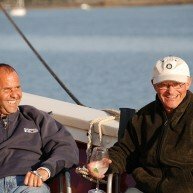 “Go get your beer and wine, because it’s BYOB,” she says. 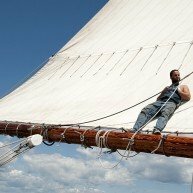 You sail about six hours each day, and you can get as involved as you want in sailing the boat. 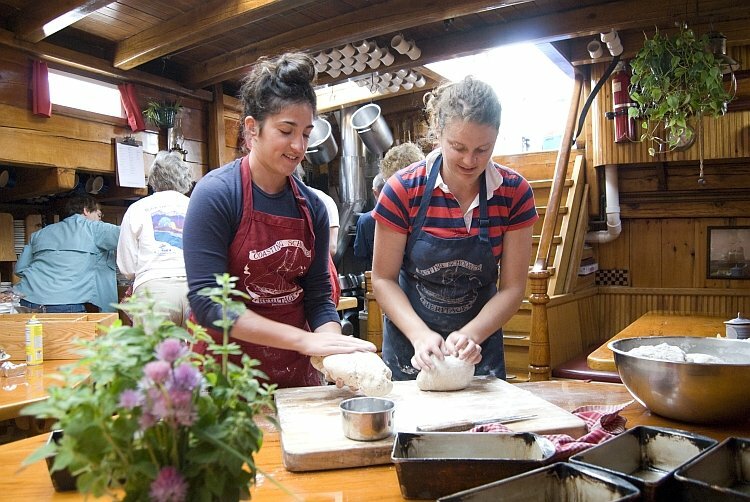 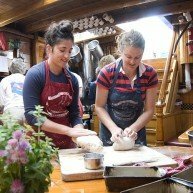 “Passengers can steer, navigate, raise sail, lower sail, help with the anchor, help cook—as much as they want to do,” Meg says. 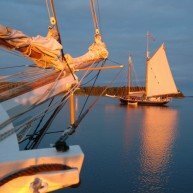 Windjammer cruises offer distinct experiences for people of different interests, ages and backgrounds. 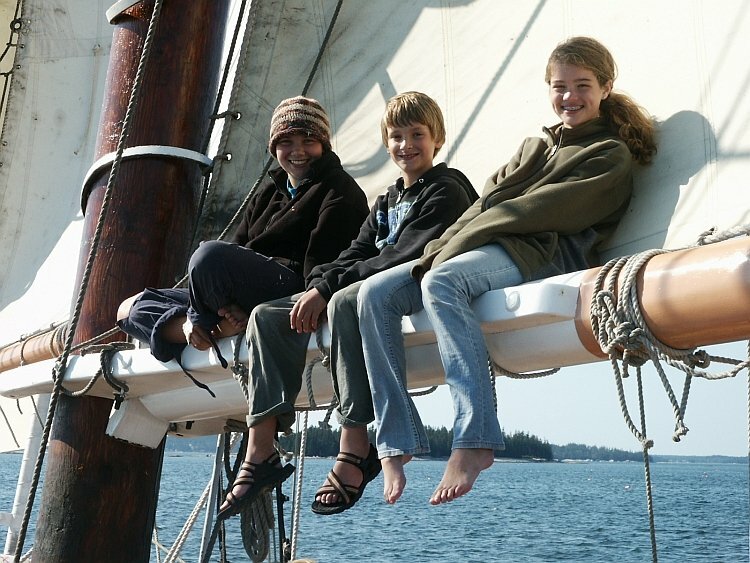 For families, a majority of cruises require that kids be at least 12 years old. 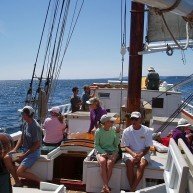 They are perfect for anniversaries, family reunions and birthdays—a family can charter the entire boat. 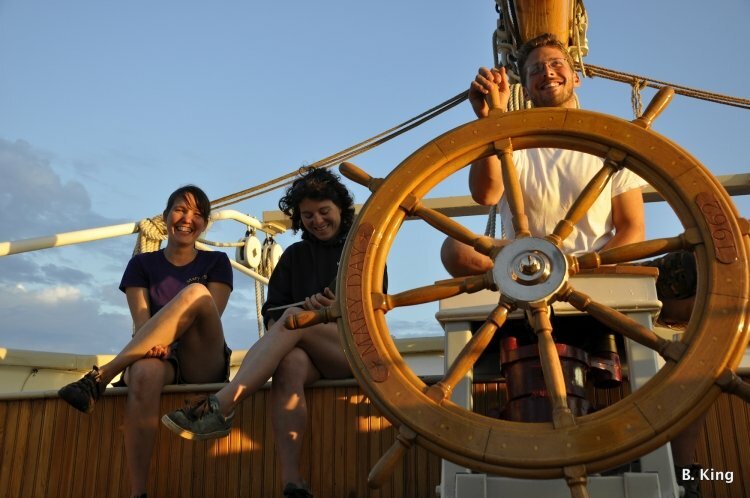 And for the environmentally conscious traveler, Meg notes that windjammers are a very green form of transportation. 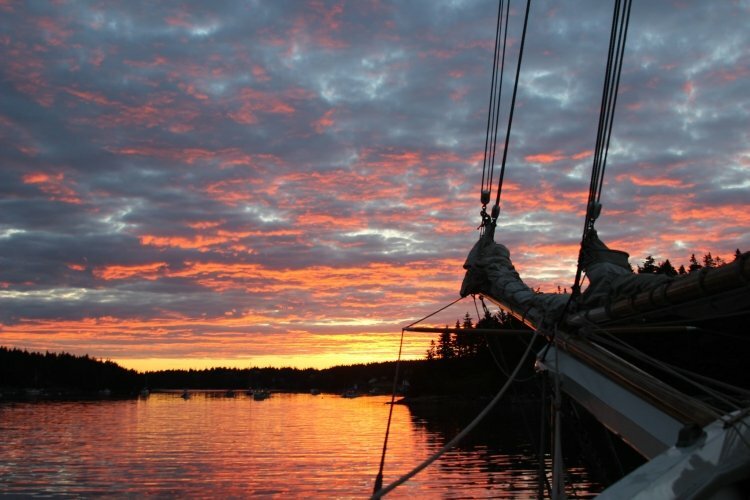 “If you love the idea of wind power and green—it’s totally efficient. 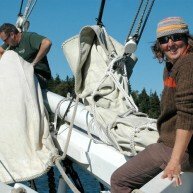 They use very little resources and hardly any electricity or water. 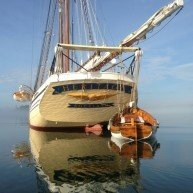 And not a lot of fuel either,” she says. 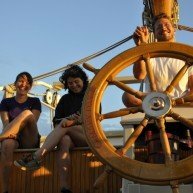 It’s an adventure that’s priced right too—even if you’re a couple looking for a distinctive adventure and want to book a unique wine-tasting cruise. 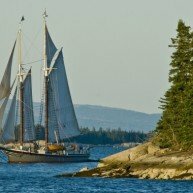 The average price is usually right around $1,000 per person for cruises of the six-day variety. 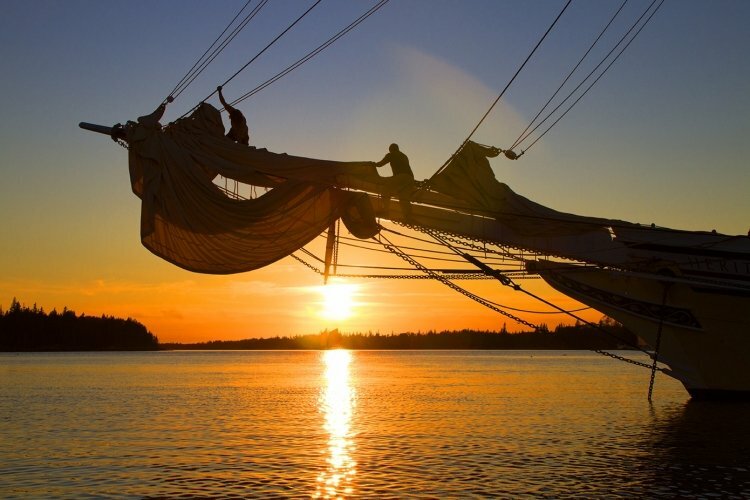 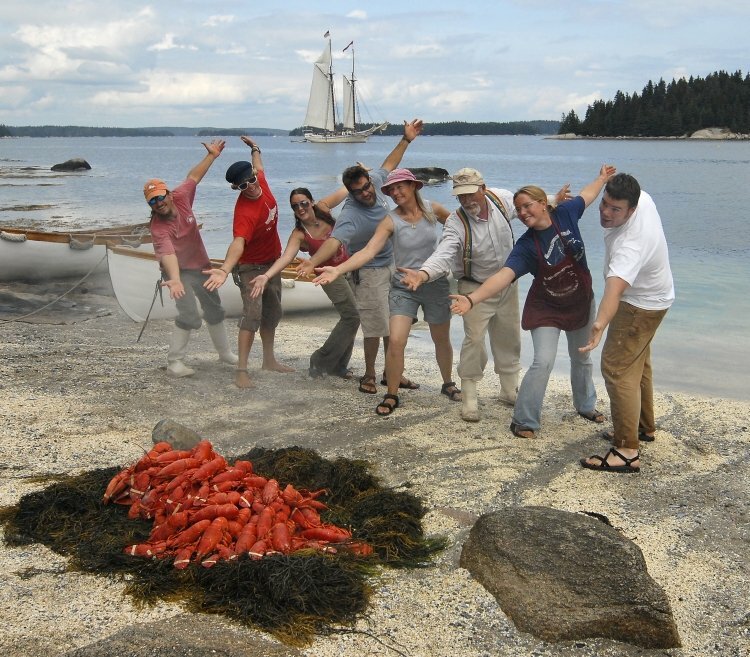 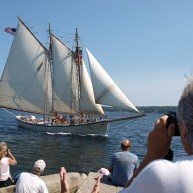 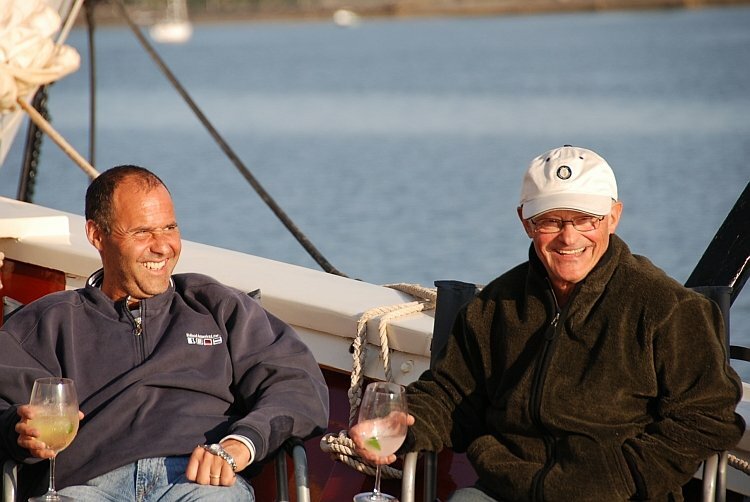 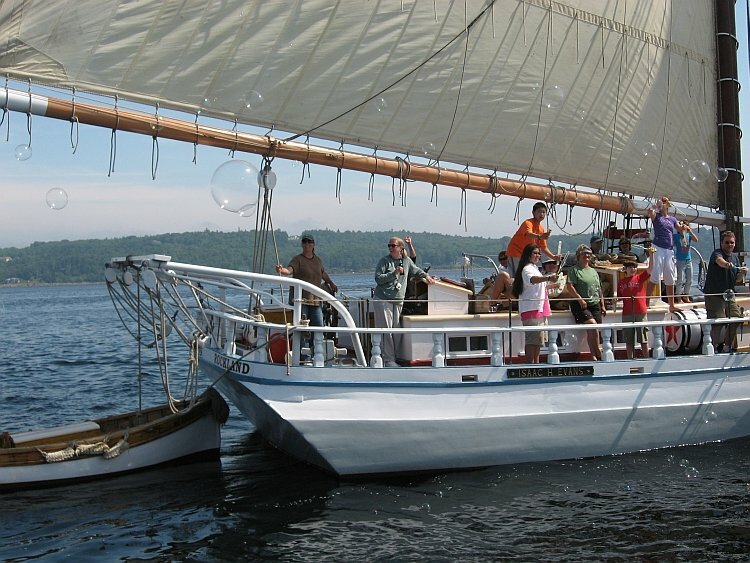 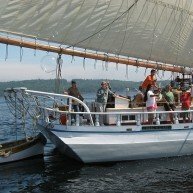 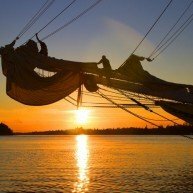 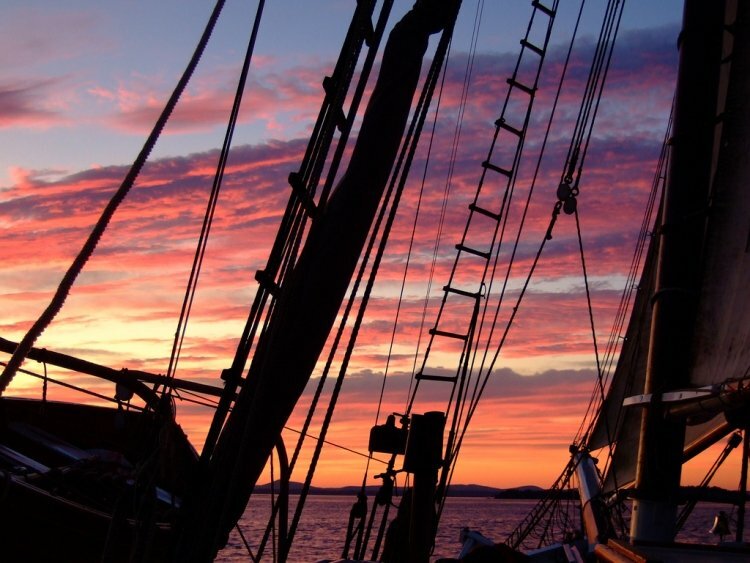 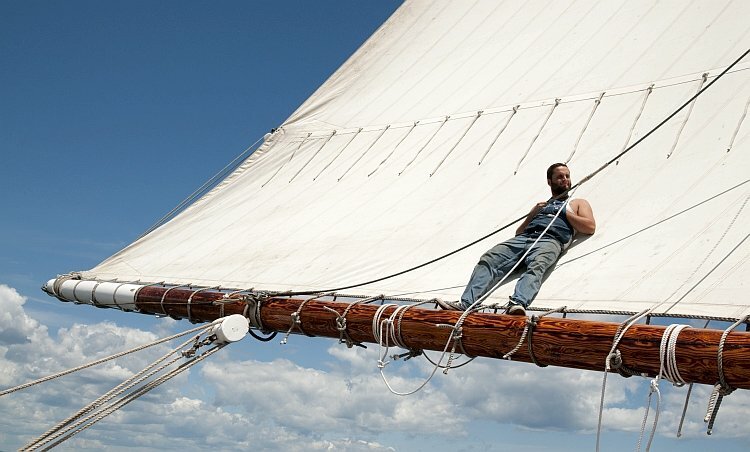 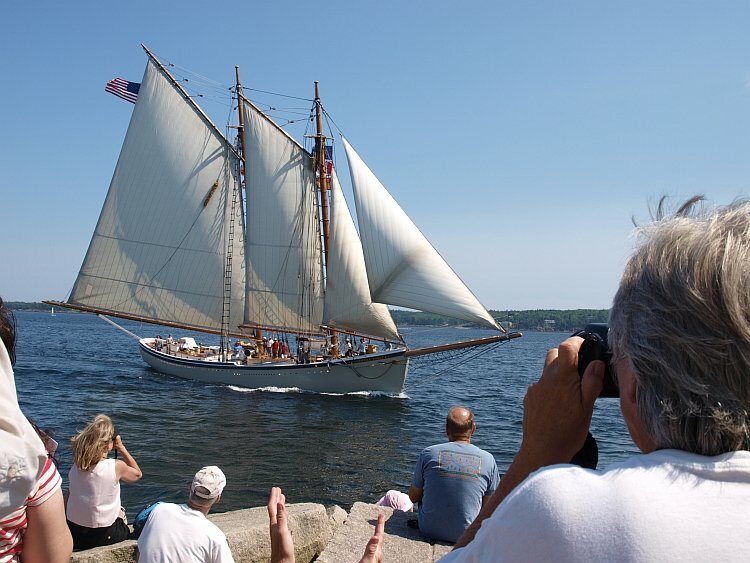 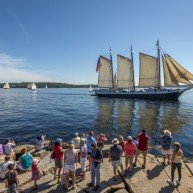 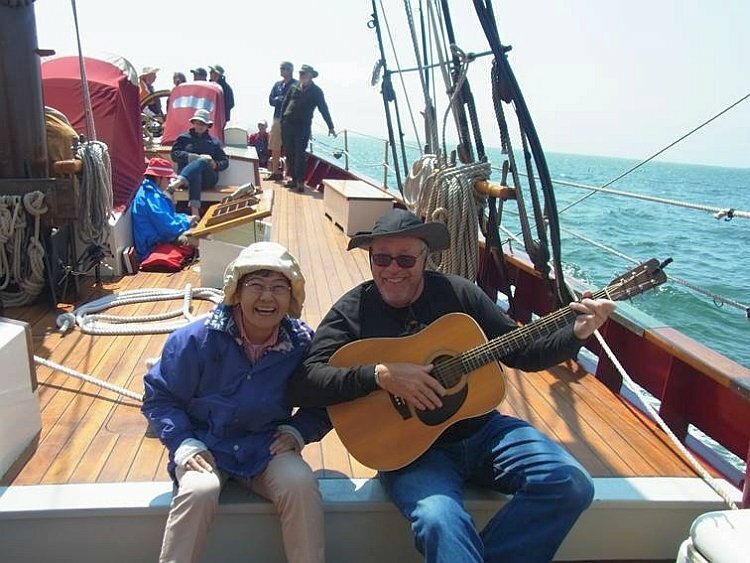 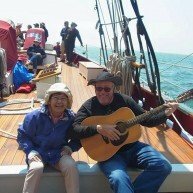 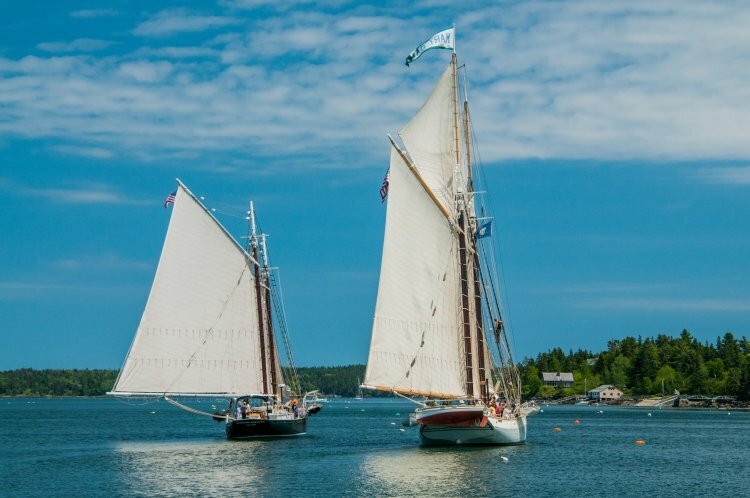 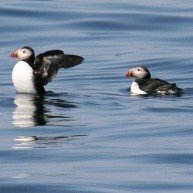 Throw in a little evening jam session (passengers who play are encouraged to bring an acoustic instrument), the gourmet food on board and a lobster bake in a unique setting like Pond Island, and a windjammer cruise—like so many Maine experiences—is something you won’t soon forget. 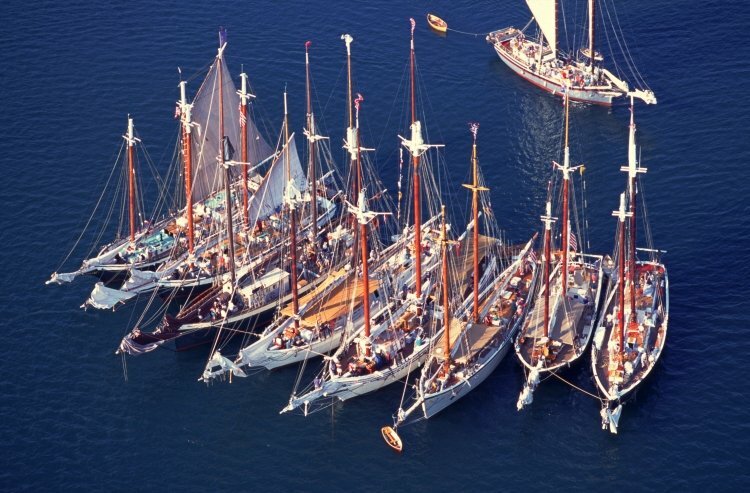 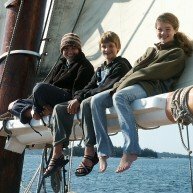 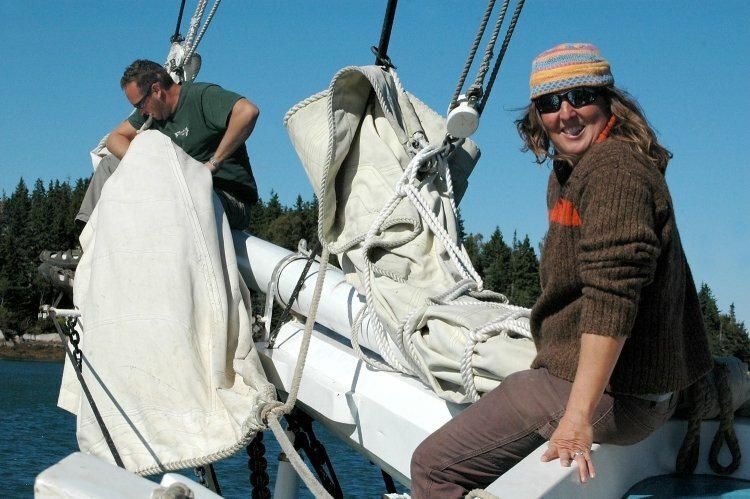 After graduating from Amherst College, Meg Maiden moved to the Maine coast where she has been involved with boats ever since, first at WoodenBoat Magazine, followed by 25 years as the Marketing Director for the Maine Windjammer Association. 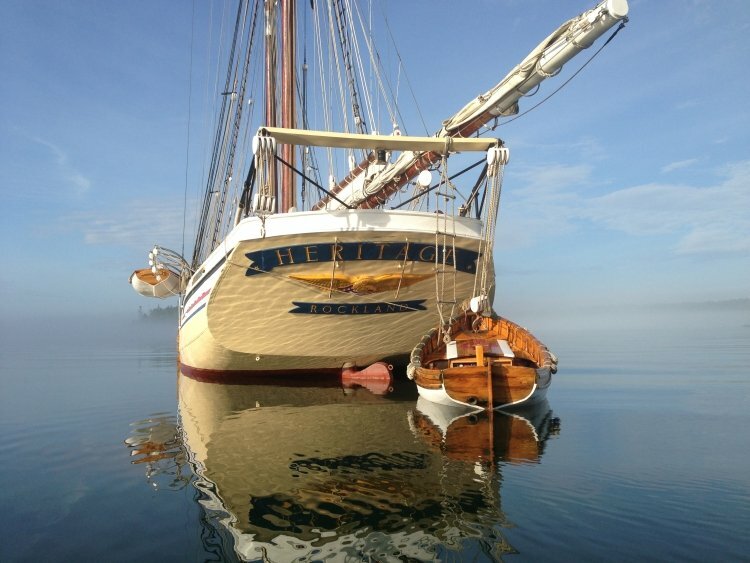 She lives in Blue Hill and gets out on the water every chance she gets.